We invite you to join us at the following upcoming special events. For events that take place at the winery, please call our tasting room for more information or to RSVP. As a member of our most exclusive wine club, you are invited to join our winemaking team on April 27th at 6:00pm for an exquisite wine pairing meal. In partnership with the Portland Cheese Course, Erath is hosting a unique series of Wine and Cheese events. Each session will focus on pairing 5 distinct cheeses with 5 world class Erath wines. Celebrate the valley-wide festivities over the holiday weekend at Erath. Wine club members are invited to Erath to take home and taste the not-yet-released wines in your Summer Wine Club Shipment. Join us for our annual tradition of celebrating Independence Day at Erath Winery. 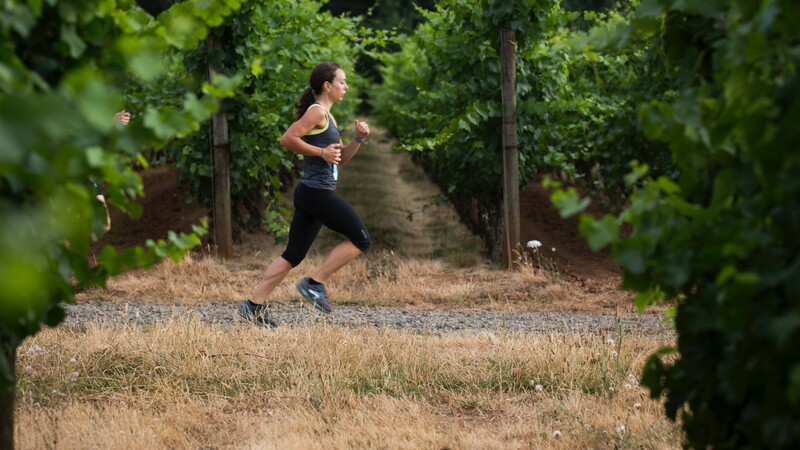 Sprinting into its 10th vintage is the event that combines your passion for running and love of fine wine. Sundays at Erath just got better. Celebrate summer with music…and wine. Fun, unusual, but not forgotten, Erath is celebrating some of our favorite (and tasty) National Days in 2018. Celebrate summer with music… and wine. Join Winemaker Karl Weichold and Field & Vine at the most local of all the farms we visit this season. Wine club members are invited to Erath to take home and taste the not-yet-released wines in your Fall Wine Club Shipment. Wine club members are invited to Erath to take home and taste the not-yet-released wines in your Winter Wine Club Shipment. Celebrate Thanksgiving Weekend at Erath, with weekend only specials. Wine club members are invited to Erath to take home and taste the not-yet-released wines in your Spring Wine Club Shipment. Erath Winery will be closed today, February 27th, due to icy road conditions. Toast your true love at Erath Winery during our Valentine's Wine Weekend of Love. The winery is closed today, February 5th.